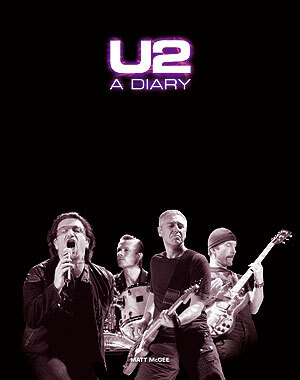 Just as with the first edition of U2 – A Diary, I’m asking for your help with the 2011 update. It’ll be a better book as more U2 fans around the world share relevant facts and information, stories, photos, image scans, and anything else that might have a place in the book. I hope you’ll help! If you have information about something U2 (as a band or just one band member) did on a certain date, tell me about it. There’s no easy way to explain what kind of information will help, but if you’ve read the book, you probably have a good idea of what I’m looking for. If you haven’t read the book, feel free to send in anything you think might be of interest and I’ll decide if it’s helpful or not. It’s important that the fact/information you’re sharing can be tied down to an exact date as much as possible. You were at some other band’s concert and you happened to see Edge or Adam there, too. You have an old newspaper article that talks about what U2 did when they visited your city for a concert (i.e. – they did radio interviews before the show, did a photo shoot, etc.). You bumped into Larry at a Harley Davidson dealer when he was buying a new motorcycle. You saw Paul McGuinness at the premiere of a new film. You saw Bono and his family eating dinner one night by themselves. Generally speaking, I’m not looking for the personal stuff, the mundane “daily life” things. But if you’re not sure if what you know is relevant or not, please do contact me and I’ll determine if it has a place in the book. Stories about your interaction with the band, or an individual band member, might be helpful. I’ve received stories from fans who saw a band member at a post-concert “event” on the Vertigo Tour — the event was mentioned briefly in the newspaper, but the fan was able to provide a lot more detail about what happened. I’ve received stories from fans who used to work in radio or TV and were able to interview a band member long ago. Things like this are very helpful because they help fill out information that would never be known otherwise! There are a substantial amount of photos and images in the first edition of U2 – A Diary, and I’d like to have more for the 2011 update. Any photos you have related to events like what’s described above would be helpful. Concert photos would be helpful. Scans of newspaper headlines or magazine covers will also be helpful. As I’m working on the update, I will post specific calls for help here on the blog. If you can help answer the question or locate the photo or thing I’m looking for, please do! Again, if you have material to send in for possible inclusion in U2 – A Diary, please contact me. Thanks!